I want to take a moment to reflect on what has happened to my hometown of Elk Grove, CA. Several contributors to this blog live in Elk Grove. First some background. Our City was founded on July 1st, 2000, splitting off from being an unincorporated area in Sacramento County. The vote passed overwhelmingly; mostly because the folks pushing hardest made some convincing arguments. The folks pushing cityhood argued that we (Elk Grove residents) were being overcharged and underserved by the County. The Elk Grove area is represented by one of five county supervisors and the other four could care less about our needs and concerns. Cityhood was advocated to allow residents to control their own destiny instead of being subject to the whims of folks that don’t live here. The cityhood plan was to contract certain services such as law enforcement and leave fire and parks to the Community Services District (CSD) which had been running them for many years while allowing the city council to manage other aspects of a small and fairly rural community. It was hoped that cityhood would result in less expensive private trash service and a bus system that wasn’t Sacramento County backed Regional Transit (RT). On the surface the thoughts may have resonated well, RT most definitely was not perfect, and one would figure a private trash hauler would be cheaper than a county run one. For a while things started off rosy. Trash bills went down as Waste Management took over garbage collection. The transition to a new bus service E-TRAN went like any other government takeover….horrific. E-TRAN was the first 100% hybrid bus fleet of its kind and in hot 100-degree Sacramento Valley weather, most of the buses either died or had the air conditioner go out frequently. Additionally, the buses had a very difficult time linking up with the RT buses to commute to downtown. I knew of one example of someone who was a lifeguard at James Rutter School. She would have to catch a bus that left at 6:30 AM just to be able to transfer to an RT bus and get to James Rutter by 11:30! The City also never understood one simple fact, mass transit is a drain on any budget; let alone when you decide to have a local bus as opposed to one administered Countywide. Additionally, no one is ever on those buses when I see them pass by! A few years after cityhood passed, the carefully balanced cityhood agreement began to be dismantled by the city council. Two of the five council members who were active Sacramento County Sheriff deputies, were able to convince the council to establish its own police department. Before proceeding, I want to make one thing clear; no one writing for this blog is anti-police in any way, but this department is one of the worst run departments in the State of California. First, when you form a new department, other departments around the area are more than happy to “pass the trash” from them on to you. (This term was used by a former lieutenant at EGPD by the way). Then we hired a police chief who resided full time in Renton, Washington, not Elk Grove. After telling you that, are you surprised our police department gets more complaints filed against it than any other city in Northern California? The kicker came last year when a former trainee officer filed a discrimination lawsuit regarding his homosexuality against the city naming ¾ of the sergeant and lieutenants, as well as the outgoing chief and incoming chief of police, in addition to the internal affairs officers. Just as a side bar, not a single officer named in the lawsuit was placed on leave, terminated, or was ever investigated. It looks like a 7-figure settlement will be forthcoming. Hard to imagine if that is how they harass their own, what they must think of the average citizen who lives, works, or commutes through here daily. To make matters worse our City Council began appearing in the local and Northern California papers for all the wrong reasons. Some examples include a midnight vote guaranteeing health care benefits for life for the City Manager and City Attorney. Then one of our finest, Jim Cooper, who was on the council, also serving as a Sac County Sheriff Captain at the time, voted repeatedly on matters involving a contract between the City of Elk Grove and his own Sheriff department, leading to a grand jury investigation…ouch that had to bite. He will forever live in infamy with his Sheriff Deputy and councilmen pal Mike Leary—best known for being arrested after losing election for evicting his former girlfriend from their home and forging a document. Not to mention the City and our Parks, Recreation and Fire District, sued each other for several years regarding who should be in control of the City’s area parks. Like any other lawsuit, when two government entities sue each other, no side won or lost, lawyers got very wealthy, and the citizens got a Pepperidge Farm sausage to the backside. During this period, city leaders began to see its residents as sources of revenue instead of the people that they were supposed to serve. Under the guise of helping law enforcement, the city installed “Cooper Cams ” at various intersection throughout the city to raise revenue to fund our ever-expending city payroll. The city doubled its utility tax, in part by calling it a tax cut in the ballot argument—which by the way was unopposed by the CRA and Tea Party folks living in our midst. The amount of taxes and fees just to break ground on a residential project rose to about $100,000 per home. This was all happening during a time of unprecedented growth in this area. Population growth in Elk Grove was the highest in the United States for three years in a row. Most legislators in Sacramento resided in Elk Grove due to its quality of living and small-town feel. Then the housing bubble popped, and Elk Grove found itself being hit extremely hard by its high concentration of subprime mortgages. This also saw the development of our “going to be better than Roseville Galleria Mall” stopped due to the mall developer’s parent company filing bankruptcy. The blighted area became a heavy topic of future city council elections allowing Steven Detrick and Steve Ly to get elected to the body. Suddenly the city that was known throughout the county as being a renegade town quickly became a part of the good ole boy network. By the way Detrick has more FPPC violations and grand jury investigations than most would have in several lifetimes. Not long afterwards, voters decided to implement the election of a mayor every two years as opposed to rotating the job amongst the five council members every year. The original proponents of cityhood had purposely setup the rotating system amongst the five councilmen to allow for more sharing of power. No one person could have more sway with voters than another. Being mayor was just one among equals. The other purposeful distinction of cityhood was that candidates for council were elected by all the votes so that they were accountable to all not just represent their district to the exclusion of all else. It was a purposeful rejection of the model used by county supervisors in hopes that the council would act based on what is best for the city not just their little fiefdom. It seems like since we got an elected Mayor that this city became Los Angeles on steroids. Suddenly strip malls start being built everywhere in central and western Elk Grove (Laguna). Worse yet, the buildings were erected but most never had a tenant, some even sit vacant to this day. 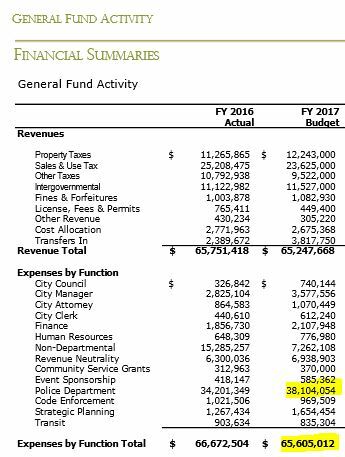 It’s almost like the city just wanted property tax revenue as opposed to collecting tax just based on the land. While that was going on, more disturbingly we began hiring top positions for our city from other cities throughout northern California, none of whom called Elk Grove home. Our City Manager Laura Gil? From ritzy El Dorado Hills. City Economic Director Randy Starbuck? Pittsburg, California. As mentioned earlier, the Police Chief continued to call Renton, Washington home. When you hire people with no ties to your city, they tend to not have the best intentions. Take Randy Starbuck for example; he worked for this city from 2011-2014, a time where cities’ economies were reviving, and the result of his three years of hard work? 70 new jobs in Elk Grove, the majority being minimum wage jobs. Starbuck was known for the monthly “business trips” to Las Vegas to try to shake down businesses and convince them to come to Elk Grove. He also spent countless hours trying to lobby Major League Soccer to grant Elk Grove a team. Think about that for a couple moments, Las Vegas trips and a major league soccer team….in a town of 175k? Editor’s note: If soccer is so great, how come nobody talks about the success of the taxpayer funded multimillion dollar facility in Stockton? I attended the council meeting where Starbuck was grilled and had his fate sealed. I remember the meeting like it was yesterday, he was grinning ear-to-ear talking about how he had recruited Green Acres to open a store here in Elk Grove…..yeah….great success. The council let him have it, as did the actual residents of this town. Reality is, it wasn’t all Cluster***ks fault. The city manager and council share more than a majority of the blame. They allowed this man to run around unchecked and not held accountable. Also, Starbuck was not fired. Instead, he was put on paid leave for the remainder of his contract. Yes, folks we have a typical crony capitalist city out here now. Despite efforts at economic development, the stores opening in Elk Grove aren’t much better either. We now have four Little Caesars Pizza stores, pretty much every chain restaurant known to man, a Smart and Final, Popeye’s, and a Grocery Store Outlet. Gone are stores such as Bel-Air, The Fresh Market, and Baguettes. Essentially the stores coming in match the clientele moving in, lower middle class and working poor families. 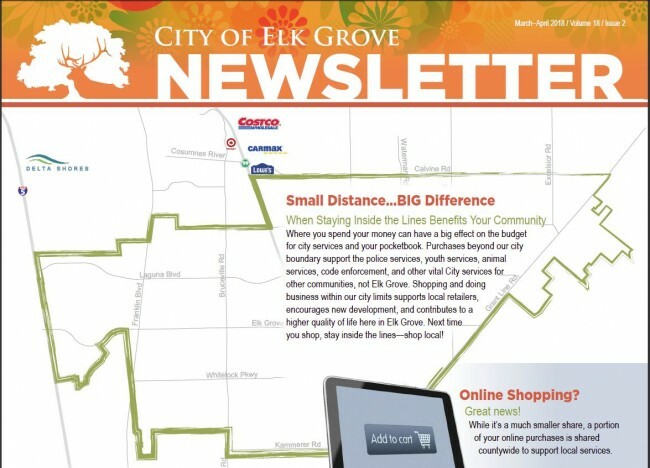 I doubt any legislative staff or legislator calls Elk Grove home anymore. They have all moved to Folsom, Roseville, or downtown. What do two of those cities have in common? They are fighting adding more Section 8 housing within their city limits. Again, I’m not being racist here, just stating the obvious. Look at the Franklin/west of Highway 99 area of Elk Grove; most of the government subsidized, low income housing was built there, and crime has skyrocketed. A friend of mine was hit by a hit and run driver in that area. Upon speaking to a police officer dispatched to take an accident report, he was told “hit and runs are an epidemic in this area now.” Crime being up and hit and runs are a direct result of police officers not chasing bad guys but instead focusing on writing tickets in an effort to close the budget gap in our town. Bringing me to my next point. Remember how I talked about shopping centers popping up on each available square inch of land in the city? Government buildings are going to start popping up very soon as well. The city council is spending money they don’t have like a couple of drunken congressmen. In the hopper already is a new library (keep in mind we have two already run by the County), an convention center (the Falls Convention center was built less than two years ago and with private funds) an aquatic center (we have 2 water parks already—run by CSD—as well as two privately owned gyms with Olympic sized pools). Apparently, the city needs to have facilities that they can control, or it doesn’t count. At the January 13, 2016 City Council meeting, staff presented a conceptual Civic Center Master Plan for the southern portion of the Civic Center site that would include an Aquatic Center and Commons, Senior Center/Community Center, Veterans Hall, Children’s museum, Library and botanical gardens/nature preserve. At the meeting, the City Council directed staff to proceed with the completion of the refined Civic Center Master Plan, including a Phase 1 of the project, which includes an Aquatic Center, Senior Center/Community Center and Veterans Hall. The site plan and facilities continue to be refined through design team efforts and public outreach. These Phase 1 projects are estimated to cost approximately $61 million. By the way, our city council thinks we will get some of the summer Olympics events here if California bids for them. Yup, why would an Olympic swimmer want to swim in sunny southern California with Shamu and Mickey Mouse, when they can choose Elk Grove, that mass of houses in a bedroom community near Sacramento? We are building a sports complex in sparsely populated east Elk Grove. I’m not upset because I live out there, I’m upset because if you live on the other side of Highway 99—which goes through the center of our town—you are closer to downtown Sacramento than to Grant Line Road. Elk Grove city employees are seeking input on possible features and amenities at a proposed sports complex on property just south of the city. City staff at a July 11 workshop will provide a presentation on the 100-acre parcel near the corner of Grant Line and Waterman roads in south Elk Grove. City Manager Laura Gill said the cost to build all of the elements at the complex is estimated at around $110 million. Also, rather than pay Sacramento County for animal shelter services at 500k per year, we are going to build our own dog pound for 12 million dollars plus salaries, benefits, and upkeep. Lastly, we will be getting a landfill at some point because…well we could get fees from other cities and municipalities to dump here! Again, these will all be government administered buildings, which means more government jobs, pensions and benefits paid out later, paid for by bonds and taxpayer dollars right? Or will they be? Remember that mall that was supposed to get built? Every 6 months we got an update from one or more of our council members saying we will be breaking ground soon. Our Mayor at the time, Gary Davis, said in the Fall of 2018 that the mall would be ready to be up and running. Steve Detrick told me to my face that city staff were cold calling and already had half the leases spoken for at our state-of-the-art mall that would make every other city jealous. During the mall talk, an Indian Tribe nobody ever heard of before started looking at Elk Grove to build a casino, yes one of those casinos. We were told again by the same two city councilmen and soon to be Mayor Steve Ly that a possible site could be at the mall, but the casino was just doing fact finding on available options. Then overnight, the casino was announced. The casino developers promised that between the city and local school district over 132 million would be contributed over 20 years. 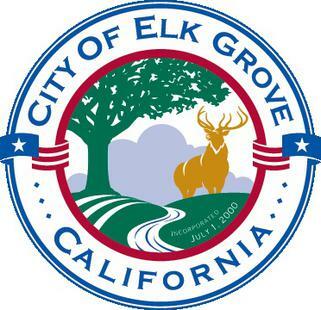 The Elk Grove City Council on Sept. 28 unanimously approved a Memorandum Of Understanding (MOU) with the Wilton Rancheria. The tribe is proposing a $400 million entertainment and gaming facility on a 35.9-acre site near Highway 99 and Kammerer Road. If the casino opens for business, the tribe would pay nearly $132 million in recurring and nonrecurring payments to the city and community of Elk Grove during the first 20 years of the MOU. The only good to come of this was that the city’s effort for a local sales tax increase was put on hold for a few years. The casino was coming to Elk Grove in the place of the planned mall….let’s call this exhibit 666 from our three congenital liars on the council. This casino is being built because the city wants to expand and thinks it can legally extort its citizens to do so, via laundering the money through gambling agreements. I have been harboring my feelings of frustration on the decline of our community for a long time but then the big boom, last straw or whatever you call it occurred when I went to my mailbox the other day and found a city-taxpayer funded glossy with an outline of Elk Grove, the purpose of which was to encourage citizens to spend money inside the lines, so it stays local to fund citywide initiatives. At that point I felt the need to vent on the mismanagement and hypocrisy that passes for local government from people claiming to represent me. The article makes a point to avoid the Target on the other side of Calvine Road, even though that Target wanted to locate in Elk Grove before being rebuffed. Ditto for both the Lowe’s and Costco. Add the Walmart on Florin Road to that list, Steve Detrick fought it and that propelled him to be a councilmember. Additionally, targeted, ironically are the CarMax and the new Delta Shores Mall by Green Haven. This is rich, both entities wanted to be in Elk Grove. CarMax was willing to make every concession possible, but they were told “NO”, so they built just on the outside of Elk Grove. Delta Shores, a nice brand new shiny mall, should have been here in Elk Grove but instead the council wanted a casino. Full disclosure we are getting a Costco soon, but this is what happens when you have no vision and no plan.